Global economic activity is expected to strengthen in the second half of the year and accelerate in 2015, inspired by China and US growth, according to the head of the IMF. Christine Lagarde was speaking on Sunday, and said the overall forecast had been slightly cut from April’s projection, with global output growing by 3.6 percent in 2014 and 3.9 percent in 2015. 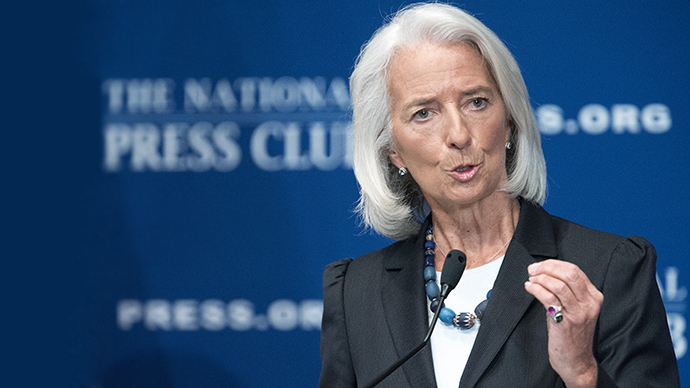 Lagarde said the IMF reconsidered Chinese economic growth more positively. "Looking at emerging Asian countries, and in particular China, we are reassured, because we do not see a brutal slowdown but rather a slight slowing of growth that has become ... more sustainable and that we see it at 7 to 7.5 percent this year," Lagarde told an economic conference in southern France. "Global activity is picking up but the momentum could be less strong than we had expected because potential growth is weaker and investment ... remains subdued," Lagarde said. 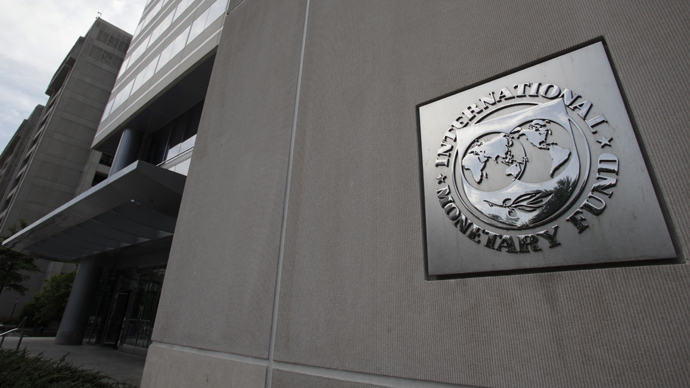 The IMF head said accommodative policies used by central bank may have only a limited impact on demand, stressing that investment in infrastructure, education and health would boost growth. 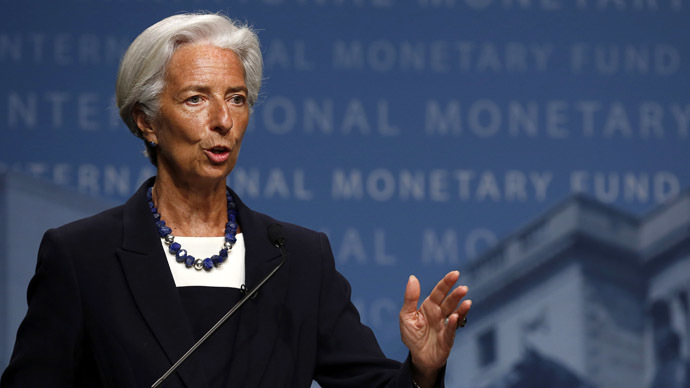 "We must therefore take steps to boost efforts to strengthen growth," Lagarde said. "There is the opportunity in a number of countries to relaunch investment, without threatening the viability of public finances." The IMF chief explained that the positive impact of public investment may allow some state projects to pass without impacting the debt-to-GDP ratios. However she said that despite beneficial features of a public investment boost, not all countries could afford to do so.